ROOM SELECTION is for current housing students only. Complete the Returner Application. Once completed, you may select roommates through MyHousing after both applicants have submitted the application. 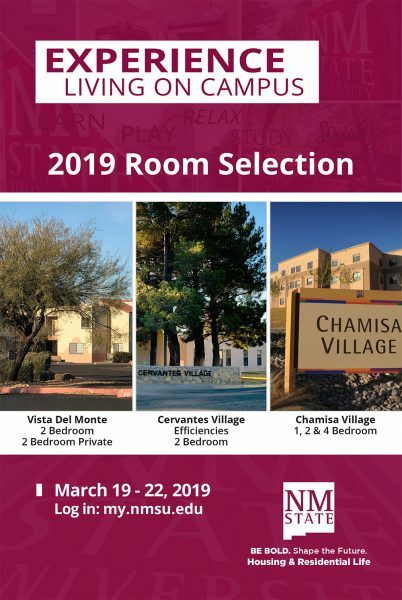 Log in at MyNMSU to select your roommate once all applicants have completed the application. Under roommates tab, find roommate and be sure to match. NOTE: Your current resident Housing deposit will roll over from Fall. 4:00 p.m. – 11:59 p.m.